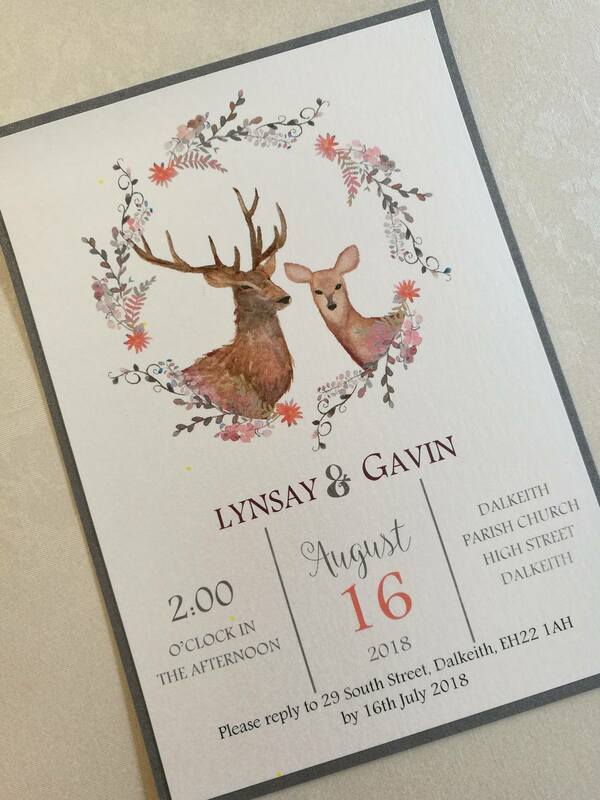 As with every wedding invitation we design you can choose the image, colour and fonts used to create your invitations. If you would like to see a sample design before ordering let us know what you are looking for and we shall try our best to help. We are situated 7 miles outside of Edinburgh city centre and are accessible by public transport as well as by car. By Car from Edinburgh: Follow the A7, A720 or A1 towards Dalkeith, when you arrive at Sherrifhall round about take the A6106 to Dalkeith and follow the road around until you arrive at a small roundabout, take the first exit and continue up the hill until you arrive at a T-Junction controlled by traffic lights, take a right at the lights and then take an immediate left onto South Street. Continue along South Street until you reach us on the corner on South Street and St Andrews Street. There is a car park within walking distance, take a left onto St. Andrews street and follow the road along, the car park is on the right hand side and is free for the first hour upon taking a ticket.